There are four outstanding golf courses on Kiawah Island itself, the Ocean Course, Turtle Point, Osprey Point and Cougar Point plus Oak Point which is just off the island. The Ocean Course needs no introduction, ranked the hardest course in America, it has hosted a number of top professional events including the 1991 ‘War on the Shore’ Ryder Cup and the PGA Championship in 2012 won by Rory McIlroy. Indeed, the Ocean Course is one of only four courses in the US to host every major PGA event. Turtle Point is a Jack Nicklaus design. Because of its traditional design, many of the better players visiting Kiawah Island Golf Resort would rather play Turtle Point than any of the other courses on the island. With narrow fairway corridors, small greens, strategically placed water hazards and plenty of out-of-bounds, Turtle Point calls for great accuracy and intelligent strategies. A favorite of resort guests, the Tom Fazio designed Osprey Point utilises a superb natural canvas to create a masterpiece in playability and variety. The setting for the course features four large, natural lakes, fingers of saltwater marsh, and dense maritime forests of live oaks, pines, palmettos and magnolias. Into that backdrop, Fazio blended a par-72 layout that takes advantage of its setting. The course offers a wide variety of holes, each presenting its own unique challenges and beauty, which are bound to produce an enjoyable round. Clyde Johnston, a noted Southeastern golf course architect, designed Oak Point on the grounds of former cotton and indigo plantation. With its close proximity to the Kiawah River and the Haulover Creek, with its surrounding maritime forest, Johnston was able to mold the rolling landscape into a first-class layout. Undulating fairways and challenging greens are some of the unique features of Oak Point. There are a number of other courses in the area including Ocean Winds and Crooked Oaks on neighbouring Seabrook Island and Links at Stono Ferry which is just a short drive from Kiawah. 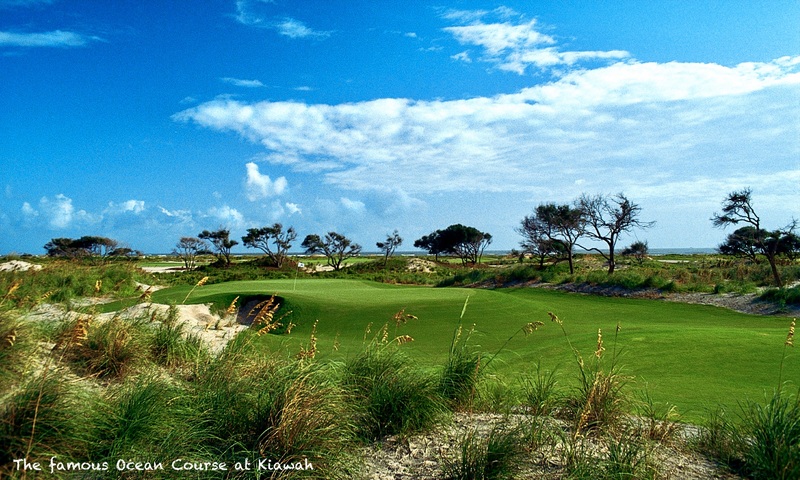 Many of the Charleston area courses are within an hours drive of Kiawah. See our Charleston Golf page for more information. To help plan your trip please take a look at our Kiawah Island Resort and Kiawah Accommodation pages to help build your perfect trip.